2 Courses for £19.95 or 3 courses for £24.95.An exciting bar and grill concept, the Malmaison menu is filled with intense flavours, sourcing from top quality local suppliers. 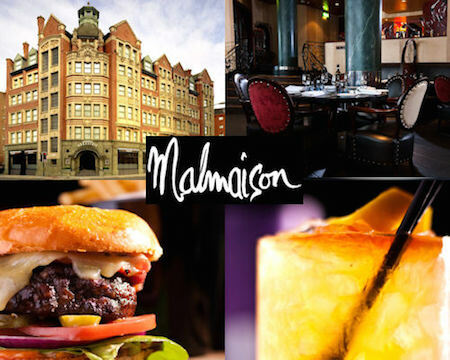 With a cosmopolitan vibe, the Malmaison Manchester bar showcases more informal delicacies. Diners can bask in squashy Chesterfield sofas whilst enjoying Chicago-style rib steak with sweet onions, or a crispy duck salad.